Air101: Etihad Airways turns 15 years of age! 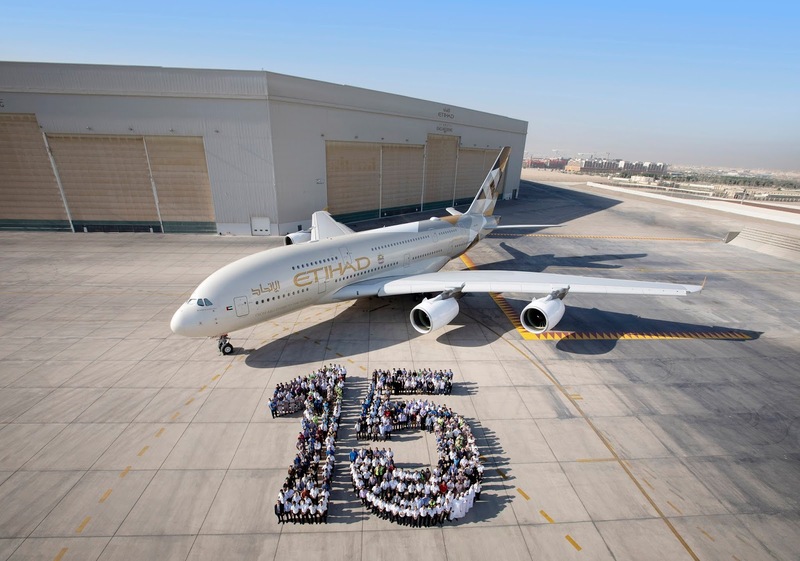 Etihad Airways turns 15 years of age! Earlier this week Etihad Airways, the national airline of the UAE, has marked its 15 years of commercial flying with a number of events, including a human mosaic and cake. It has been 15 years since its inaugural commercial flight to Beirut on 12th November 2003. In a fitting tribute to the first flight, guests travelling on flight EY535 to the Lebanese capital enjoyed a cake-cutting ceremony at the departure gate this morning. The airline also presented each guest with a limited-edition cabin crew scarf and tie set, designed by iconic fashion designer Diane von Furstenberg, while younger flyers were gifted Etihad teddy bears by cabin crew wearing the airline’s first-ever uniform from 2003, in addition to its current style. More than 400 employees from Etihad Airways Engineering and Etihad Technical teams gathered together to celebrate the 15 Year Anniversary of Etihad Airways, with a human mosaic photographed in front of one of the airline’s Airbus A380s at the Etihad Airways Engineering facility at Abu Dhabi International Airport.